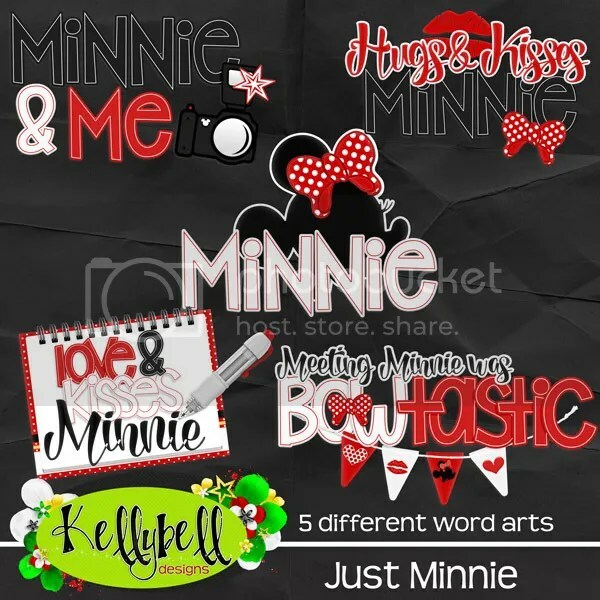 Hugs & Kisses from Minnie! 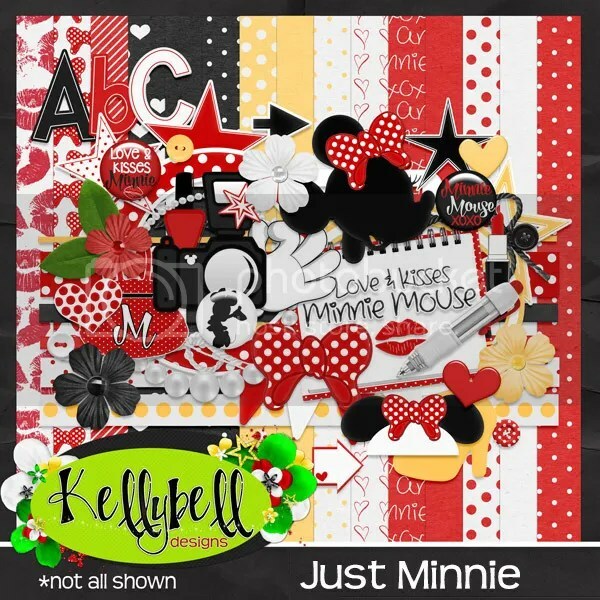 Fasten your seat belts, the Fab5 collections keep on rolling from Kellybell Designs. Last week featured the boy mouse – Mickey. This week’s star of the show is his girlfriend Minnie Mouse. And boy is her new collection just adorable and it’s filled with polka dots. Sweet! 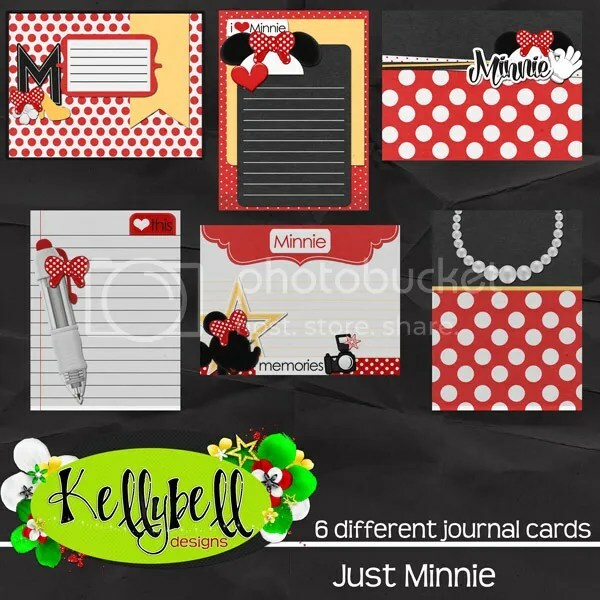 Take a look at this beautiful new kit, pocket pack, page starters, tags & flairs, journal cards and word art. 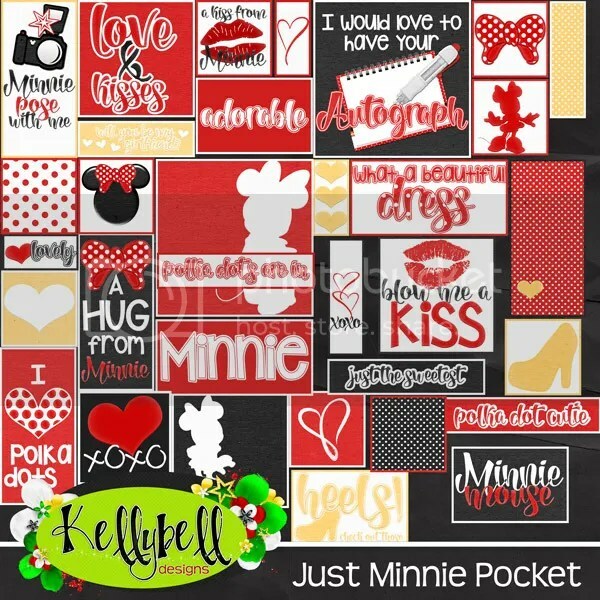 You can mix and match these together for either a traditional layout or for a pocket page. Inside the kit you’ll find 15 papers in colorful polka dots, stripes, patterns and solids along with unique elements such as hearts, flairs, camera, autograph book and pen, mouse ears, bows, buttons, nail polish, shoe, banner, pearl necklace, stars, frames, arrows, strings, ribbons, mouse glove, purse and more. Plus there’s 3 full alphas – one in red, black and white. Here’s what I created with the new collection! 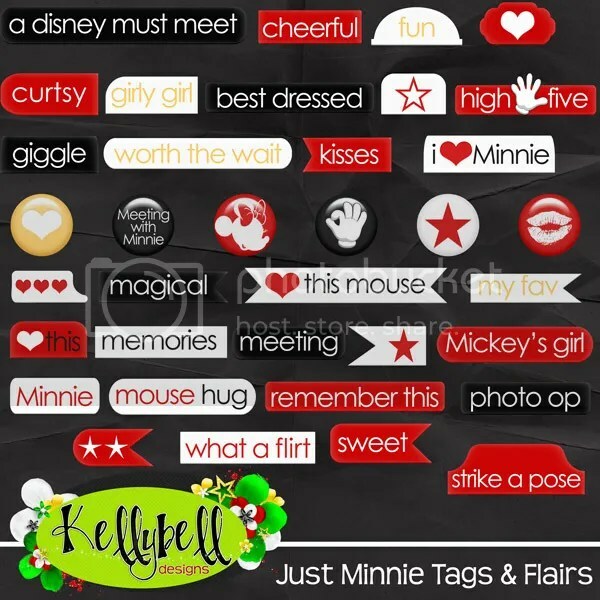 I’m sure you’re excited to know what kind of freebies are available this week for Minnie Mouse. You will find them when you visit Charlene’s Blog, Jessica’s Blog and LindaP’s Blog. Have a great weekend and happy scrapping! Here’s a little something from me! Posted on April 22, 2016, in Uncategorized. Bookmark the permalink. 3 Comments. Pretty Paper Stack, thank you Linda! Thank you for the cute paper stack!